The total value of projects being executed and consultancy works at SEZD stands at RO 20 million, according to Eng Salih bin Rashid al Hashmi, project manager at the Special Economic Zone at Duqm (SEZD). 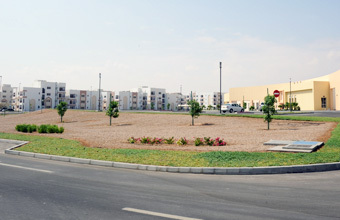 Al Hashmi said in a statement these projects include feasibility studies, consultancy services for designing, supervision in the surface drainage (phase 1), construction of a mosque and 150 housing units, consultancy services for designing, internal roads and infrastructure works at the main layout (phase 1), and the development project of Duqm city road. The projects in the stage of analysing are: consultancy services at the solid and liquid jetty and the related works at Duqm, consultancy services of the syphoning and reuse of sea water project, ground work of the commercial and government jetty, water network at the port and the works related to cleaning and food and accommodation management at Oman Drydock Company, Al Hashmi said. Tenders were floated for some projects, the most important of them are implementation of phase two of Duqm port project which involves the main building, cargo terminal, watch tower and a number of facilities, and the consultancy services for the development of the northern side of the industrial zone, Al Hashmi noted. Al Hashmi confirmed that during the upcoming period the zone will witness a slew of projects that include works relating to the railway, services facilities such as water and electricity and communication, completion of internal road networks, levelling and preparation of lands for investors as well as the industrial projects whether those pertaining to petrochemicals, fish industry, and buildings for residentials, commercial and tourism purposes at Duqm city. SEZD is endeavouring to upgrade the work environment, development of infrastructure facilities, development of Duqm city and the local community with the aim of attracting local and international investments.